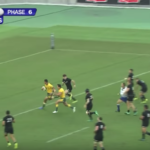 Beauden Barrett’s pass between his legs put Rieko Ioane away for a late All Blacks try against the Wallabies in Yokohama. Wallabies centre Israel Folau’s try against the All Blacks in Yokohama has been deemed the best from last Saturday’s match by Sanzaar. 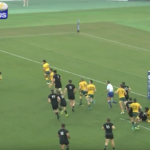 Highlights of the All Blacks’ 37-2o win against the Wallabies in Yokohama. The All Blacks beat the Wallabies 37-20 in Yokohama on Saturday to claim a 3-0 Bledisloe Cup series whitewash. SIMON BORCHARDT reports. The All Blacks will look to secure a 3-0 series sweep against the Wallabies when they meet in the third and final Bledisloe Cup Test in Japan on Saturday. MARIETTE ADAMS reports. Israel Folau will start at outside centre when the Wallabies face the All Blacks in the third Bledisloe Cup match in Yokohama on Saturday. 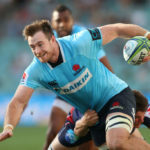 The Wallabies have included three uncapped players in their squad to face the All Blacks in next Saturday’s third Bledisloe Cup Test in Japan. Ryan Crotty and Rieko Ioane have been ruled out of the second Bledisloe Cup Test between the All Blacks and Wallabies due to injury. 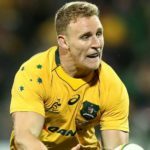 Reece Hodge has been selected to start at outside centre for the Wallabies against the All Blacks in Sydney on Saturday.